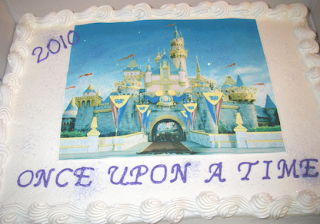 Here is a half sheet cake that I made for a local school's Disney production. 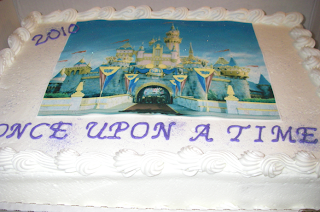 Cakes are from Costco, and I added the decorations in order to customize it for their specific event. 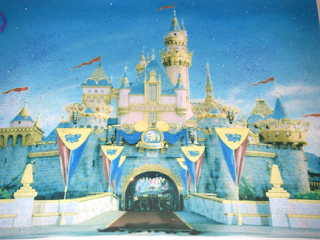 The picture of the castle is a completely edible image. You can't really tell in the photos, but the cakes have been dusted with fine glitter giving it a little extra bit of "pixie dust"!